The Goethe-Institut Prague invites visitors to experience its pleasant world within! Prague, May 16th, 2018: web portal Protisedi.cz has interviewed Osamu Okamura on topic of Shared Cities: Creative Momentum and his attitudes to sharing. You have a unique opportunity to find out what has brought Osamu Okamura to the topic of sharing and what he thinks about sharing in Prague! The October edition of WhatCity? 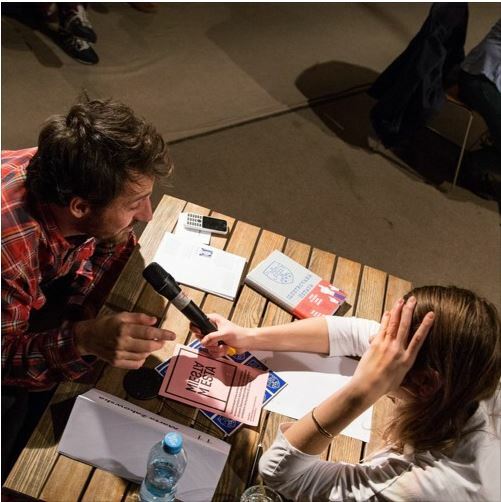 in Bratislava on the topic of sharing is on Soundcloud now! Eleven experts, eleven experiences with sharing in cities - listen to the intense exchanges between speakers and guests in one-on-one dialogues.